he 1973 album continues in the same vein as Ball of Eyes, though it’s definitely more funky and head boppin’ than the debut. The real ear grabber is the superb Moog soloing by Moulin. Placebo is grooving your socks off in the first half of the album and a more concentrated jazzy swing can be found on the second half. Original copies of 1973 are in short supply and overwhelming demand, making this official reissue a much needed one! Marc Moulin (1942 – 2008) was a Belgian musician and journalist. In the early Seventies he was the leader of the Jazz-Rock group Placebo. Moulin was one of Belgium’s jazz legends, making jazz-influenced records for over 30 years. 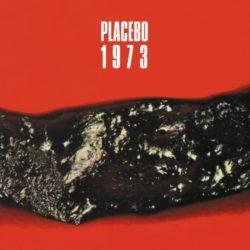 Marc Moulin’s three Placebo albums are the ‘Holy Grail’ for the rare groove crowd, a sector of music fans who love that unique 70s style of cool. In memory of the passing of Marc Moulin 10 years ago 1973 is now available as a Limited edition of 1.000 Individually numbered copies on White coloured vinyl.